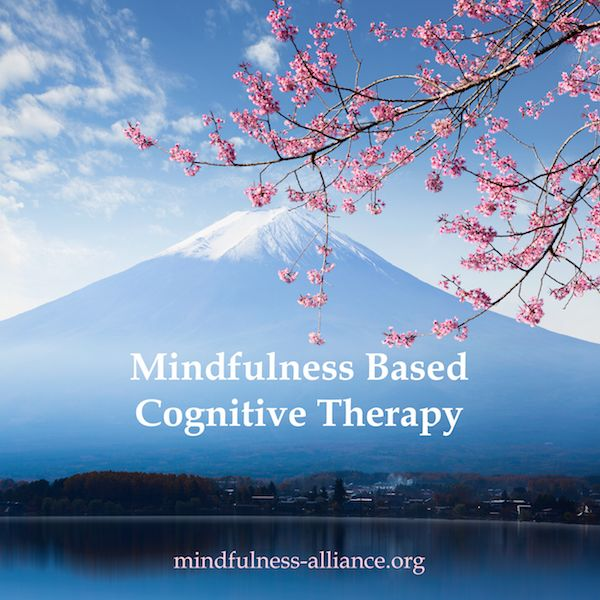 Mindfulness Based Cognitive Therapy (MBCT) is an 8-week course that combines cognitive behavior therapy skills with mindfulness attitudes and practices to help participants relate differently to their inner experiences. It is an empirically supported approach to preventing the relapse of chronic depression and it is also proving useful with anxiety. The course includes a workbook, eight weekly 2-hour classes in the evenings, and a half day retreat on a Sunday from 9 am - 1 pm between meetings 6 & 7. Participants receive access to guided practice recordings and a self-help guide to continue the practices after the course ends. MBCT is a skill building course meant to compliment psychological treatment, and should not be considered a standalone therapy. If you are interested in taking an upcoming MBCT course, you must first register for a free initial consultation with the teacher to make sure the program is right for you. You can register online or call 913-735-5566 to schedule your consultation appointment. Fees are based on a sliding scale according to after tax household income. MAM members receive the lowest discounted rate. Payment in full is due by the course deadline (a week prior to the start of the course) and there are no refunds after this date. In the unlikely event that the course is cancelled, you will receive a full refund of the registration fee, but refunds will not be provided for any pre-arranged transportation, accommodations or other miscellaneous expenses. **MO & KS licensed mental health professionals can earn up to 20 continuing education units by participating in this course. MBCT is offered in partnership with Ochester Psychological Services, LLC (OPS), which maintains all documents and records for the course.